Welcome to IntegraGen's News and Events page. 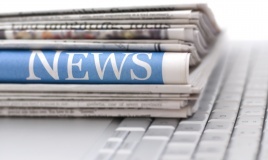 Here you will find current and archived press releases, listings of upcoming events, and news coverage about the company and some of its projects and initiatives. Contact us if you would like more information about IntegraGen and our efforts. IntegraGen has announced the company’s financial results for the year ending December 31, 2018. The annual accounts were approved by the Board of Directors held on April 17, 2019. IntegraGen and Advanced Biological Laboratories (ABL) have announced the signing of a non-exclusive global licensing agreement enabling ABL to distribute miRpredX™, IntegraGen’s proprietary IVD CE marked diagnostic test that enables clinicians to identify metastatic colorectal cancer patients who have a higher likelihood of response to anti-EGFR therapy. IntegraGen announced today its unaudited annual sales revenue for 2018. 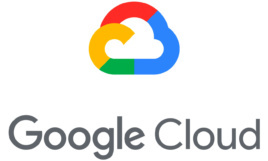 IntegraGen has announced it is collaborating with Google Cloud for the implementation of IntegraGen’s advanced genomic analysis tools, SIRIUS™ and MERCURY™ into the Google Cloud Platform. This partnership will enable widespread online availability, rapid data transfer and enhanced data security to clinicians and researchers utilizing these analytical tools. IntegraGen has announced today its financial results for the first half of semester 2018 with the accounts having been examined by the company’s Board of Directors on September 20, 2018. IntegraGen’s licensing partner GoPath Labs announces new CPT Code for reimbursement of miR-31-3p test in the U.S.